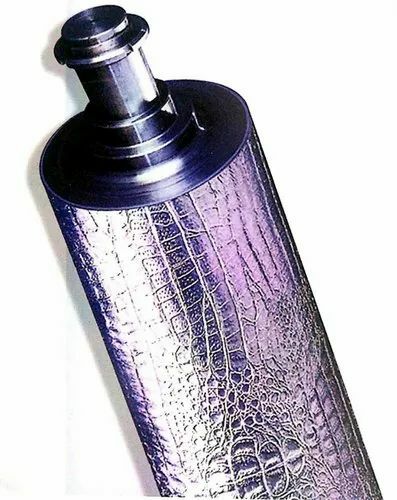 Embossing roller is used for surface treatment of plastic sheets and boards like PMMA,PC,PP abd etc. Roller surface can be processed into a variety of decorative patterns. The sample image will be converted into high resolution digital image information with laser scanning electron and color separation technology and then loaded directly into the carving machine, and high quality roller surface pattern will be carved out by the carving machine. The roller surface pattern simulation rate is above 98%. Roller surface material includes 45# steel, 38 GrMoAl. 42GrMo.60GrMoV, and etc. Surface plating hardness can be reached HRC60-62, prolong the service life of the embossing roller. Commenced in 2013, we, Allied Way (India) are major manufacturer, exporter and supplier of matchless quality Plastic Mold & Foam Machine. We are providing substantial range of products which comprises of Water Tank Blow Molding Machine, PVC Foam Board Machine and EPE Foam Machine. We have gained huge recognizance from our clients, owing to our products' robust construction, precise design, high productivity and long functional life with low maintenance. These products are manufactured by using superior quality material with use of innovative technology. Moreover, we supply these products in multiple tamper proof packaging at equitable price range. We have developed modern infrastructure system, for producing wide endowment of products in order to meet diversified demands of customers. Our unit is divided into various sub divisions such as production facility, quality testing unit, warehousing and packaging facility. In addition to this, we have employed team of industrious professionals for ensuring quality and smooth running of production. Due to our professionals' adroitness in rendering our products according to diverse needs of customers, we have gathered huge clientele base. Some of the leading names, we have cater to are AWM, Axxicon, SG, Pioneer, Sony, Samlink and KM. We are exporting our quality products all over the globe.